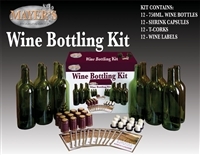 Refills for kits bought at Stores like Bed Bath & Beyond and Walmart can be bought here! We are the original manufacturers. 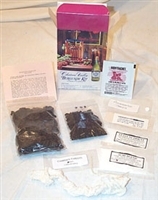 For young and old alike, the Gourmet Chocolate Kit is grat fun, east to use and highly rewarding. Better still, you can impress your friends and family with real home made dark & white chocolates. Lemon-Lime & Cherry-Cola. Make 1 gallon of each. Barbecue Sauce Kit. 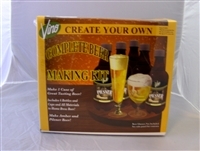 You'll get everything you need to make your favorite concoctions, including bottles/jars, labels and spices. Get your party started right with your own line of BBQ Sauces. Everything you need to make three popular styles of gourmet mustard. 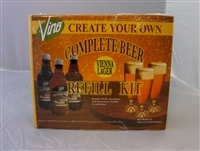 Vino JR Refill BarrelKit Product Guide & Instructions. Capture essential oils from flowers to create your own perfume! Make 15 Sweetly Scented Bars of Exfoliating Almond-Oatmeal Soap A most delicious Bathing Experiance You'll get everything you need to make oyur favorite concoctions, including bottles, labels and spices. Get your part started right with your own line of food! You;ll also get recipe booklets to give you ideas to get started. Sterilizer, Yeast, Stabilizer, Clarifying Agent, 1.5 Plastic with Fermentation Lock and Spigot. These are refill kits for the BC12 Barrel Kit they include juice concentrate, yeast, and fining agents, along with sterilizers. 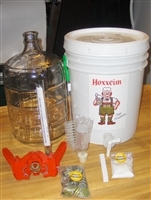 The Otto Hoxxiem Deluxe Home Brewery System allows you to brew world-class beer quickly and easily at home! Some of these Products were carried and sold at Bed Bath and Beyond, Walmart, and Target.